In this wide-angle knockout match, and the first match of round 2, the SMC Pentax-DA 15mm F4 Limited faces the SMC Pentax-DA 21mm F3.2 Limited. Have owned both but DA15 is my choice. I love that lense. This is almost a difficult choice. I love them both. The DA21 Ltd. looks so cool with a neutral density filter threaded into its rectangular-window hood, but the DA15 Ltd is magic. I love my DA 15. These polls are difficult as the DA 21 is an excellent lens (as are all the Limiteds) but to reference AquaDome's comment, magic wins every time. For me it's really no contest. 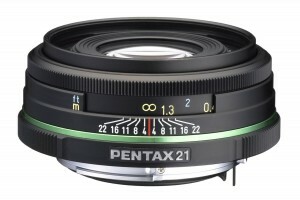 The DA21 is a much more versatile, useable and reliable lens than the mediocre DA15. It is OK, but not that good. Hence the DA15 will win in this pointless contest. I'm watching this thread with great interest-- I'd love to get a pancake as a walkaround lens, but in ratings the sharpness of the 21mm is never as good as the 15mm or the 40mm. But people seem to love it. I'm curious--what causes the disparity? I have all Limiteds but the most recent 20-40. The DA21 is a great general purpose wide angle, but that might also be its weakness, so all puropse it does not stand out in any area. Focal lenght covered by standard zooms, slow-ish speed etc.. I find the DA15 a perfect balance of size, weight, field of view and aperture. It offers a lot more over a standard zoom and has a few tricks up its sleeve, mostly thinking about the flare control and starbursts of the SMC version. I'd suggest pouring a new bowl of cheerios and discarding the one someone clearly filled up with a non-dairy fluid. I have the 15mm and the FA*24. At one point, the DA 21 was in there too but I traded it off. It couldn't compete with the FA 24 and the FL was very close. I have both the DA15 and the DA21. For me DA15 wins because of the color, contrast and the focal length. Optically, I found my DA21 the most mediocre one amongst all my DA and FA limiteds. The focal length for me is very odd, neither wide enough now narrow enough. Instead I use my FA 31 the most. I probably would have used it more had it been around 24mm. I think there may be a number of sub-par DA21's in circulation. The first one I had would not focus to infinity. I sent it for repair, and while the problem was fixed and the center was sharp, the edges were very soft. Later I obtained a second copy and find it to be very good. The 21 has a high level of distortion, too, and while Photoshop & DXO and other programs correct it easily, that was an issue with older software, even though in the field the distortion is not always an issue - in fact, sometimes I prefer the uncorrected image. Looking in the lens database, I see both the SMC DA21 & SMC DA15 currently rate a 9.1 for Sharpness. My own impression is that the DA15 is a bit more contrasty than the DA21, which increases the impression of "sharpness". While IMO the DA15 is a slightly "better" lens - its more special - I would pick the DA21 to be my walkaround lens, if I had to choose between the two. I have both. 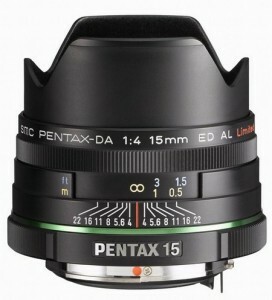 For me the 15 is a more 'interesting' lens, while the 21 is more 'useful' and actually spends more time on my camera. That having been said, if I had to choose one it would be the 15 for it's character and charm. If the DA21 had less barrel distortion it would be competitive in this match up.